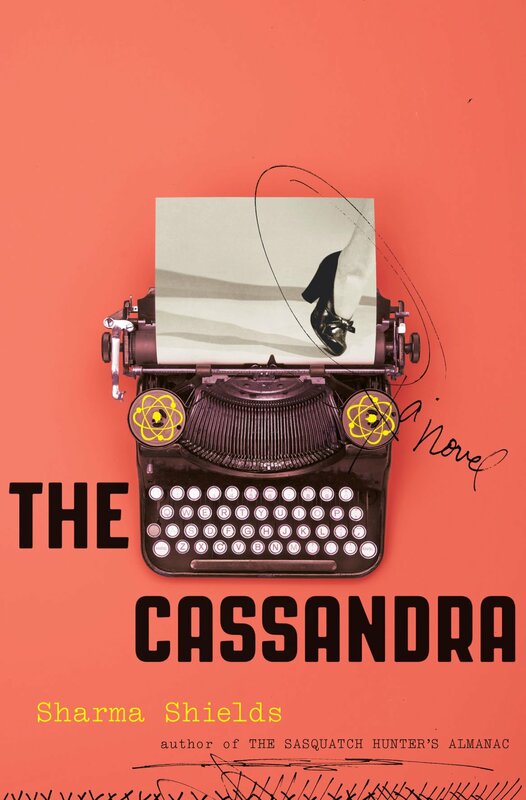 Cover of ‘The Cassandra’ by Sharma Shields. On the Hanford Reservation in eastern Washington during World War II, Plant B was the location of the top-secret Manhattan Project. It produced the plutonium used in the world’s first nuclear detonation in New Mexico and then in the atomic bomb, dropped on Nagasaki, that ended World War II. The Manhattan Project represented a remarkable feat of engineering accomplished in a short period of time. But have we ever really come to grips with its shocking culmination — a weapon of mass destruction that wiped out scores of thousands of lives in a single bomb drop? You’ll recall that in Greek mythology, Cassandra had been given the gift of foresight by Apollo, but when she spurned the god’s advances, he also bestowed a curse upon her: No one would believe her prophecies. In fact, some might say Mildred is troubled. She has heard voices in her head for a long time. But Mildred is also the star pupil at Omak Secretarial. So in 1944, when recruiters come to town to hire folks for the massive government project being built down at Hanford, Mildred applies. She already knows she’ll be hired. The voices in her head have told her so, and they have never been wrong. Because of her excellent skills, Mildred is assigned to a physicist overseeing the work at Plant B. Although she is not privy to the purpose of the project, strict confidentiality is required, and she works hard to comply. At first, Mildred enjoys being part of something important, even if she is just a cog in the wheel. Her waking hours are occupied not only by work, but also with navigating a patriarchal industry and society — and the base intentions of some of her mostly male colleagues. Shields recreates the wartime vibe spot on, with pungent details and vocabulary. But increasingly over the course of the story, the author spins an entirely different world, too. The voices and visions inside of Mildred’s head assume a more strident tone. At night she sometimes sleepwalks out of the women’s barracks and into the desert, driven by violent nightmares that she knows to be prophetic. Can she do anything to forestall the onrushing doom? Will anybody listen if she speaks? And if they don’t, what recourse does she have? “The Cassandra” is a consideration of those who promoted humanity’s most destructive impulses against its own kind. It is a surreal portrait of the impotency of those who tried to speak truth to power. This is a powerful and deeply disturbing story.